As the next generation of learning technology emerges, its ability to engage learners in every stage of the learning is pivotal – because that’s what drives impact and results. And with 90% of L&D professionals increasing, or at least maintaining, their use of the LMS, the role of the learning management system can make or break your learning strategy. But despite a clear trend to improve the user interface, true learner engagement is something that has been systemically neglected by LMS providers. Regardless of the fact so many learning providers claim to have the platform that can do it all, you need to stop thinking about the learner journey from beginning and an end. It is better to think of it as a non-linear, ongoing cycle. 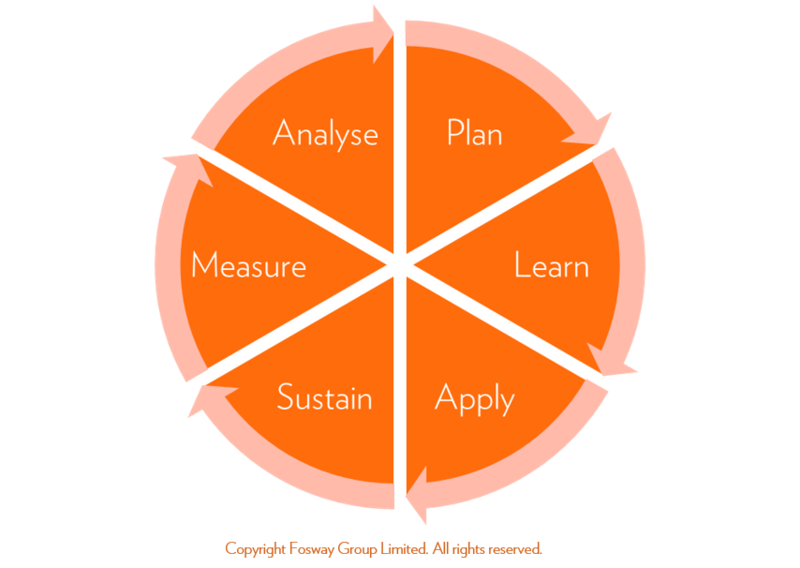 It’s how people learn – small chunks of change rather than a neat ‘start to finish’ process. Fosway’s PLASMA model is a useful way of breaking down the different stages and in many ways, it’s an antidote to the limits of 70:20:10. Instead of one-off events, there is a mind shift towards continuous experiences. Rather than dividing between workplace, coaching and formal learning – we harness the best solution for the learner. It helps us engage learners at different points. And then we can start to evaluate which technology might work best in practice. They become the stages to engage learners with to achieve proficiency and impact. Plan: What do I need to know, understand, be able to do? Learn: How can I learn that knowledge, develop that skill, build that proficiency? Apply: How am I using my learning? Sustain: What am I doing to consistently achieve the right levels of skill and performance? Measure: How well I doing? Am I on / off target for what I need to be able to do? Analyse: Where / What should I be going / doing next to improve? Learners can start at any point in the learning cycle and each stage can apply to scenarios that are ‘just-in-time’ and last a few minutes, or an ongoing programme that lasts several months. At each stage is the ability to support learning experiences using technology. From diagnostic tools and skills assessments when you Plan, supported by adaptive learning paths that dynamically create courses based on where learners should be focused as the progress, to those being automated with machine intelligence that makes selections for the learner based on individual preferences. During the Learn stage, you could use gamification techniques and a blend of digital channels and content types. As learners Apply, online journals could support reflection and on-the-job assignments coordinate action based learning to demonstrate how they are using their new knowledge, skills, attitudes and behaviours. When they then try to Sustain this, L&D could nudge and prompt peer-to-peer feedback and input to improvements over time, and provide just-in-time support materials, references and resources. As you seek to Measure the impact of learning, benchmarking tools, quality assessment and 180/360 degree feedback can provide much needed insight on the effectiveness of what you’re doing. And ultimately, both individual learners and L&D can seek to Analyse their development using diagnostics and evaluation tools. None of this is the future. This all exists and could be used right now in your organisation. But how and when these technologies are used will be unique to your learners and your context. The PLASMA Learning Cycle demonstrates that you can’t properly assess a system’s ability to support learner engagement through a functional checklist. You need to be able to describe your learners’ journey and tell the story of what the learning experience should be, for specific audiences and situations. Only by doing that will you get close to delivering the learning engagement you want – and frankly, that your learners deserve! We need to energise learners and learning. As this is awards month, we are celebrating successful learning initiatives – none of which would be award worthy without that X-Factor of learner engagement. So, as you take inspiration from the winners, try assessing how your L&D measures up with our free PLASMA checklist – let us know how you get on! This article, written by director of research, David Perring, first appeared in E-learning Age magazine.